Starfire Polymer-to-Ceramic™ Technology uses Starfire’s unique pre-ceramic polymers to create hard, tough ceramic materials which can be used in numerous applications. These polymers are available in a range of viscosities and compositions that allow chemistry tailoring and processing flexibility to fit within component manufacturing restrictions and meet final product property targets. Upon pyrolysis in an inert environment and to a minimum of 850°C, the polymers decompose into ceramic materials and form a ceramic body. Starting with a porous green body, polymer is infiltrated into the open pores. The green body is then pyrolyzed in an inert environment causing the polymer to transform from a polymer into an engineered ceramic. How does vacuum infiltration take place? 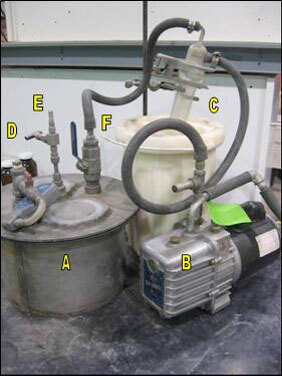 Vacuum infiltration is accomplished in a simple three (3) step process. 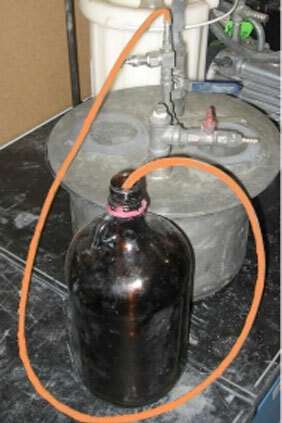 Introduce polymer into the vacuum vessel through a vacuum hose; one end connects to the vessel and one end is submerged into the polymer. 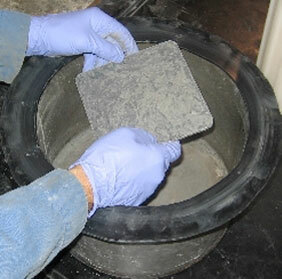 Maintain <1 torr (130 Pa) and ensure parts are completely covered with polymer. Hold for 30 minutes minimum. Optional: Extend the hold time until any significant bubbling subsides. Break vacuum pressure and slowly reintroduce atmospheric pressure to the vessel. Hold for 30 minutes minimum. 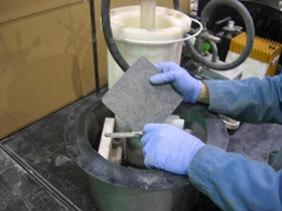 Clean off the parts of any excess polymer using a smooth spatula or a squeegee, recovering any unused polymer. 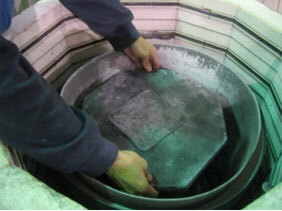 Prepare the parts for pyrolysis by loading them onto a graphite plate.